Did you ever have someone tell you that whatever conflict you were having with someone was just a mirror for the internal work you needed to do? I remember having heard that when I was in my 20s and 30s. At the time, I thought it was just some trite saying that people used to try and defuse a conflict. I wanted to hold on to whatever frustration or anger I had with another person because I knew I was right and they were wrong. Besides, I told myself, people who used that saying were just trying avoid being accountable for their behavior. Then children came into my life. I wanted to move away from control and truly treat them with respect and trust. 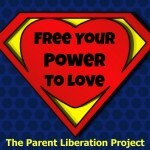 But I kept hitting roadblocks in achieving my desire to parent differently. And, my frustration and anger at what were normal childhood behaviors or desires were getting in the way of my relationships with them. What I realized is that unless I was willing to do the internal work to integrate my past experiences and emotions, I would continue to hit those roadblocks. When in relationships with other adults, my decision to not look internally when I am frustrated or angry impacts the relationships, but generally power differentials are not as significant. The power differential between adults and children is embodied in all of our institutions and in the interpersonal relationship. 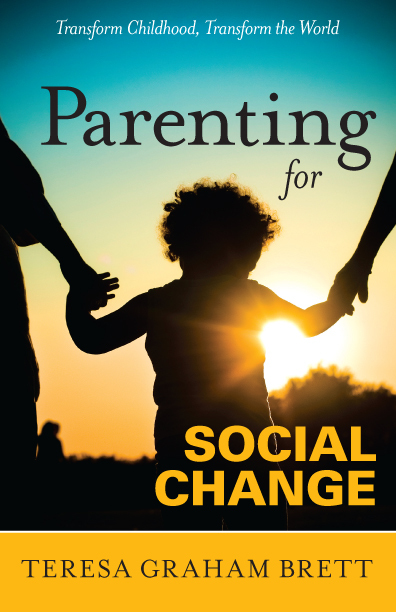 Because our culture defines the adult-child relationship from a core of control, fear, and mistrust, conflicts with children become power struggles where adults believe they must maintain the upper hand in order to ensure children are properly socialized. Conflict then becomes an opportunity for asserting power and control over children in the name of proper socialization. Conflict does not become an opportunity for growth and learning. We can redefine conflict as an opportunity to gain greater understanding of ourselves as parents. We can redefine conflict as an opportunity to connect and gain a different perspective. When we do that, then conflict isn’t about a power struggle. Conflict is just an opportunity. The amazing thing about conflict is that on the surface we think the conflict is about one thing. But when we’re willing to take the inward path of the conflict, it will usually reveal something very different, something that has nothing to do with the child in our life, but with our own experiences as children. So we could choose the route of mainstream, dominant parenting. Control the child, control the behavior, focus on the external. Or we could choose the other route. This is inward journey that can transform our relationships with children. For example, since leaving my career in higher education, I struggled in my relationship with money. I had fear, doubt, and anxiety because of my decision to take a path in life that did not offer a “safe” income. Although I’ve known that I am constrained by my fears and beliefs about money, I hadn’t been willing to look at it. Along came the second child in my life. Just as I was transitioning from a “safe” money situation to one that seemed fraught with uncertainty, he came along and mirrored all of my deeper fears. But when our conflict around money first started, I thought it was all about what seemed to be his insatiable desire to go shopping and buy toys. This conflict continued for years until I made a decision to challenge myself to squarely face my fears and what I believe about money within myself. When I go into that place of being fearful about money, I usually feel it in my stomach. So when my stomach starts to hurt and I tense up around some financial issue, this has been my cue to take a pause and explore the beliefs and feelings I’ve been avoiding. One evening, Greyson began collecting spare change and asked me to give him some money to go get a toy. I asked Greyson to give me a few minutes to think as I began to feel that familiar pain in my stomach. What started as a conflict about Greyson wanting to buy a toy became an opportunity to redefine the conflict. I had to go inward to face my fear. By inviting the fear in, I realized how I believe that I always make bad decisions about money. The fear that whatever decision I made about money was a bad one was one that constantly lived in my subconscious. It came from my childhood experiences, but it was buried deep beneath the surface and would show up as conflict with Greyson every time he wanted to spend money. Every decision I made about money, no matter how trivial, was connected to my belief that I always made bad decisions. And my belief that I made bad decisions extended to food and other issues which would show up as conflicts and triggers with Martel and Greyson. Realizing that I lived in fear of making a decision about money, because I was convinced I would mess it up, was a big one for me. And, as soon as the realization hit me in that moment, my stomach pain went away. I felt this weight lifted off of me. I brought out from my subconscious this belief that undermined me and which I used to punish myself. By bringing it out of hiding, I released a lot of its hold on me. This break-through allowed me to be present with Greyson around his desire to go buy a new toy in a way I had rarely experienced. I could make a decision and not have it be clouded by my self-imposed confusion. I could make a decision and not have it be tied to my underlying belief that I always made bad decisions. My issues with money didn’t go away immediately, it has been a process of continuing to use the conflicts to go inward and see what else was left. But after a year or so, my issues with my money relaxed and after that moment, Greyson and I were no longer in conflict about shopping and toys. Sometimes there is a twinge and I go inward to explore it a bit. When we avoid the pain and fear, it maintains it’s hold on us. The people in our lives, especially children, bring that fear and anxiety to the surface. If we choose not to face it within ourselves, we can easily project it on to them. And then we experience conflict with them. Our work, then, is to go below the surface of the conflict and move out of needing to control the child’s behavior. Instead we can face our fears and uncover the trigger. This “work” is really not work in the traditional sense. It is about love and acceptance of all the parts of our experiences, past and present. It is an honoring of those things we have hidden away. It is a love of what those experiences and feelings have to teach us.